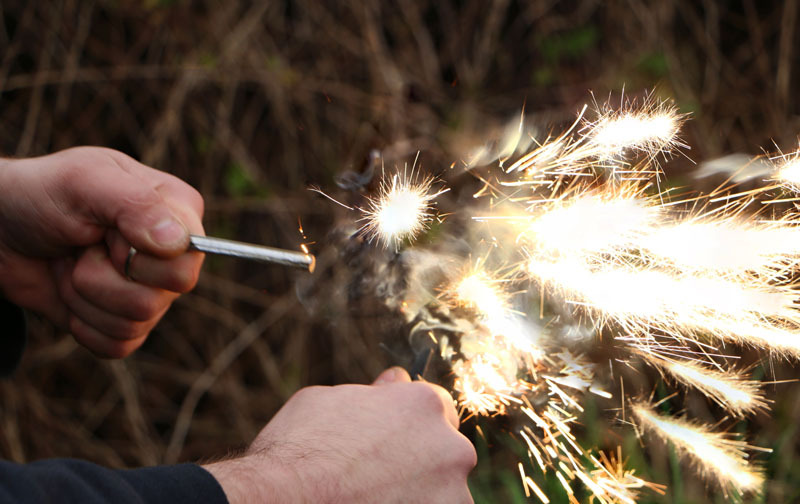 The EDC Fire Kit is a compact, lightweight and highly effective fire lighting kit, designed to allow its user to quickly and reliably get a fire started regardless of weather conditions. 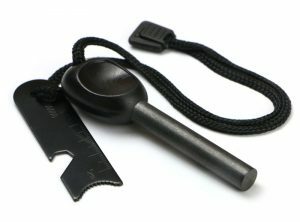 For fire ignition, the EDC Fire Kit combines a ferrocerium (fire steel) rod with a durable striker, making ignition a quick and hassle-free process. 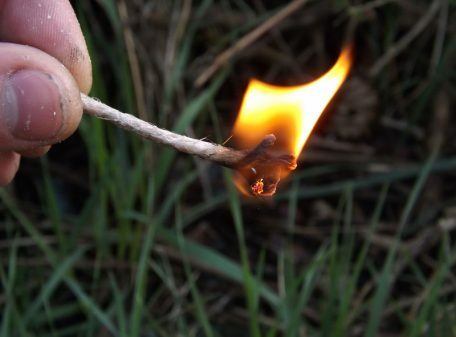 The kit comes with its own supply of water-resistant tinder, in the form of waxed jute Tinder Sticks, which will readily catch a spark and ignite, and can be used as a lighting splint that will burn for three minutes. A magnesium rod is also included; using the striker this can be scraped into a powder and added to your tinder bundle to further boost its ignitability in adverse weather conditions. The EDC Fire Kit also doubles as dry storage for matches and gathered tinder, and incorporates two match-striking surfaces for safety matches and strike-anywhere matches, offering an additional firelighting method. The kit comes with a detailed instruction sheet, with explanations for starting and building fires, the survival uses of fire, and the additional functions of the kit. 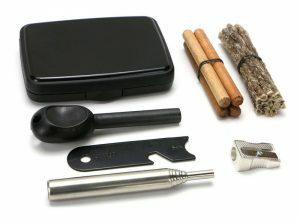 Package contains: 1 EDC Fire Kit with instruction sheet. NB: Contents for use by adults only. 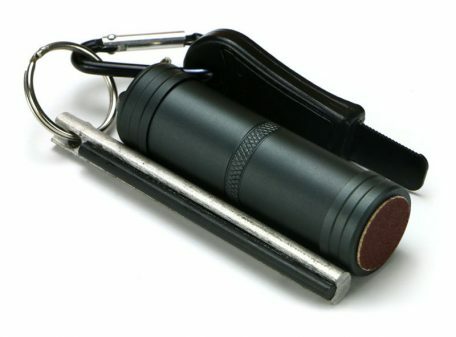 Designed for use with the Polymath Products EDC Fire Kit, but can also be used as general fire lighting supplies or added to your own survival kit or bug-out bag. Each EDC Fire Kit Refill Pack is good for four refills of the EDC Fire Kit. Waxed Jute Tinder Stick – These are water-resistant until ready for use, whereupon they can be fluffed out to make a tinder ball. 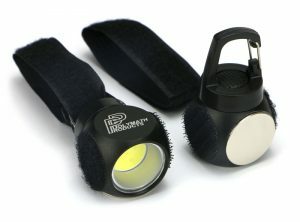 Like this, they will readily catch a spark and ignite, and can be used as a lighting splint that will burn for three minutes. Ferrocerium Rod mounted into Magnesium Rod – A replacement for the one included with the EDC Fire Kit, or great for adding to your own survival kit / bug-out bag. The Ferrocerium Rod, when struck with a steel striker, creates a shower of high-temperature sparks for igniting tinder. 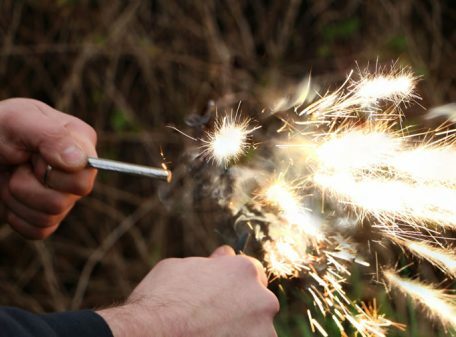 The Magnesium Rod can be scraped into a powder with a steel striker, which burns at very high temperatures even when wet, allowing you to further boost your tinder’s ignitability in adverse weather conditions. Self-adhesive Safety Match Strikers and Waxed Fibre Cup – These are direct replacements for the contents of the EDC Fire Kit, but can also be added to your own survival kits, firelighting kits and camping gear. 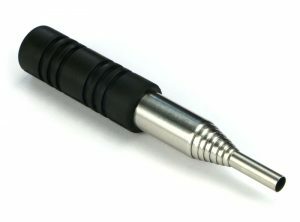 Another great product from Polymath! 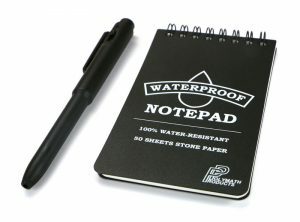 I am truly amazed that you can put so much stuff together in one compact, light, well thought-out and reasonably priced piece of kit. I’ve already tried this out this afternoon in wet and windy conditions and started a fire first time. Having already put together my own fire lighting kit I saw this and had to have one, it’s the cherry on the cake! However, if you’re just starting out in bushcraft and beginning to put your first kit together; Get This, it’s all you’ll need, you will not regret it. Excellent. Thanks again.